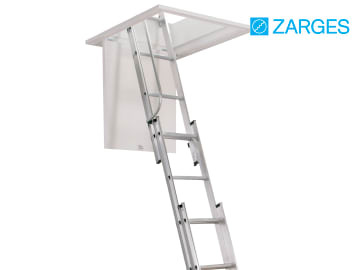 Zarges Aluminium Loft Ladders with two or three sections. With D shaped rungs for maximum comfort, and a universal stowing pole. The three section model comes with a hand rail. 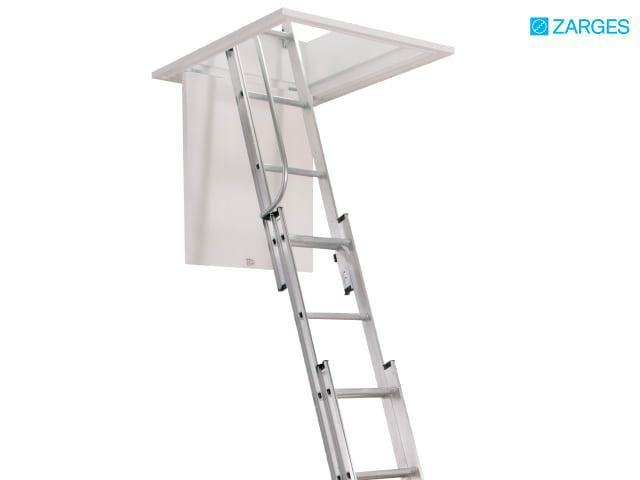 Easy to assemble and fit and supplied with instructions. 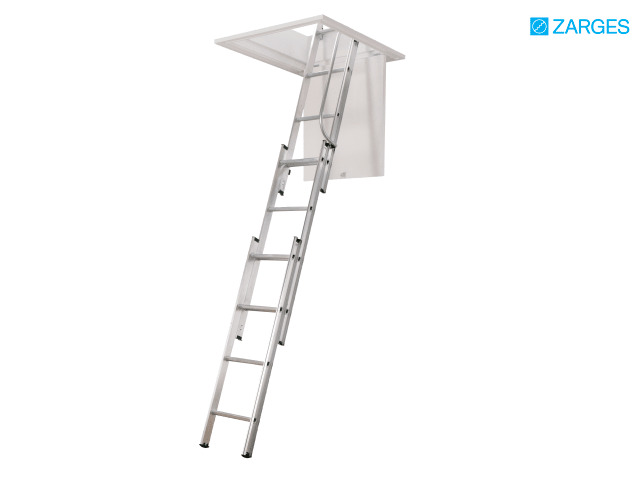 Conforms to EN 14975 standards, 150kg rating. Floor to floor height: 2,133 - 3,000mm. Floor opening size: 381 x 400 - 463mm. Minimum loft clearance arc: 710mm.